No less than 3200 Belgian academics support a terrifying climate story and claim it is five to twelve. According to them, draconian measures are necessary to save the world. Herewith our reaction. Science differs from religion because theoretical claims have to be verified with observations. If modelling results can predict measurements in advance (which is quite different than explaining them afterwards!) then you can say the model is validated and then you can safely apply it in practice. But if that is not the case, then you cannot state the model represents the truth. Using it in practice is irresponsible. 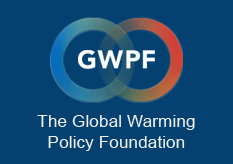 The current climate model (‘IPCC model’) systematically yields overstated predictions compared to measurements and can therefore is not suitable to be used in making climate policy – especially if that policy results in extremely high costs and a destabilized energy infrastructure. We are definitely not the only ones with this warning. Already some of the most renowned scientists have preceded us (e.g. Freeman Dyson, Frederic Seitz, Robert Jastrow, William Nierenberg, Richard Lindzen), including Nobel Prize winners (e.g. Ivar Giaever and Robert Laughlin). They also argue that the Earth’s climate is far too complicated to be explained by a simple one-dimensional CO2 relationship. Comment: Yes, the Earth is warming up. But that is business as usual. Earth’s history tells us that climate change has always happened. The geological archive shows very nicely that hot and cold periods have alternated regularly. This happened with sudden jerks and jolts, two steps forward and then one step backward. We really don’t have to go back to the great ice ages. Archaeological information shows that around the year 1000 there was the Medieval Warmth Period. Back then there was plenty of agriculture in Greenland! And in the Dutch ‘golden age’ (around 1650) we were in the middle of the Little Ice Age. The great Dutch and Belgian paintings show beautiful ice scenes from that cold period. At the end of that small ice age (around 1850) we entered a warming period, of course again with fits and starts. Nothing special. These are the natural movements in the climate system. Soon the temperature will drop again. Looking at all these climate changes, ecosystems have always adapted successfully and will do so again now. Comment: This certainty is shocking. It is indeed what the IPCC believes. However, the scientific evidence is far from conclusive. It is also highly unlikely that the natural movements would have stopped abruptly after 1850. And that since that time suddenly only man would be responsible for that warming. But what caused the Little Ice Age, when glaciers expanded en masse? And what caused the Warm Medieval Period, when glaciers withdrew en masse? As long as climate science does not have a good answer to such questions, modesty suits us. Even today nobody understands exactly what the complex interactions are between the sun’s radiation, the dynamic cloud cover, the inhomogeneous Earth surface, the energy-rich ocean currents and the vapour-rich atmosphere. Nor do we know exactly how much human CO2 contributes to global warming. The great certainty (>95%) that IPCC wants the world to believe that mankind is fully responsible is not based on science. Comment: The authors and signatories of the letter appear here as true climate activists. Downright astonishing. Because the last three relevant IPCC reports (SREX, AR5 and SR15) clearly state that there are no discernible trends in droughts and floods. So there are no more or less than before, and they have not become worse or less bad. The IPCC does state that heat waves are more common in certain areas. But this is also tentative because in the US for example the dust bowl period of the 1930s still dominates all record books. The fact that the authors allow themselves to be seduced by such exaggerations, which even contradict various IPCC reports, suggests that their critical scientific view has been clouded by their activism. Claim 4. Limiting climate change and preventing self-reinforcing feedbacks is highly necessary. To limit global warming to 2 degrees, CO2 emissions must be reduced by about 25% by 2030 and by about 85% by 2050. To stay below 1.5°C, emissions must even be zero net by 2050. In order to be able to achieve this now, far-reaching and structural measures must be taken immediately – NOW. The longer we wait to reduce greenhouse gas emissions, the greater the efforts will be needed to keep the warming (well) below 2 degrees. Comment: The success of the climate movement is a simple message: “Human CO2 is the cause of global warming; global warming is causing a catastrophe; if we turn the CO2 knob, everything will be fine again.” But for the above claim there is no proof. How did they derive these detailed certainties? The general public is rightly asking the climate movement for hard evidence. There is convincing evidence, also published scientifically, that climate models are hypersensitive to CO2 and therefore generate too much warming. Any future warming by CO2 will therefore be much more gradual than the models indicate. In addition, the forces of nature may also cause a turnaround to cooling. Since CO2 reduction is very expensive and the combination sun – wind –biomass are far from sufficient to supply modern societies with energy, we will have to work on future technologies with which an (ideologically desired) CO2 reduction might become affordable. Nuclear energy is the most likely option. Strangely enough, Belgium plans to close all its nuclear power plants and replace them with gas power plants. This cannot be explained in the context of CO2 policy; it is bizarre and worrying that nothing is said about this in the open letter. If the authors are really serious about CO2, they should be making a massive plea for keeping the existing nuclear power plants open for as long as possible. Comment: The fact that CO2 emissions are still increasing worldwide was simply agreed on in the much-applauded Paris Climate Agreement. All countries were there when it was agreed that China and India are allowed to emit any amount of CO2 until 2030. If we still insist on CO2 reduction for ideological reasons, we should not close the relatively clean power plants in Western Europe, but the many polluting power plants in Asia. China, for example, is going to greatly expand its polluting coal-fired power stations and turn them into an export product. What the Netherlands and Belgium contribute to CO2 is miniscule, but reduction will cost many hundreds of billions of euros. For example, if the Netherlands achieves the target of 49% CO2 reduction by 2030 (more than the authors of the open letter propose), it would result in 0.0003 degrees less warming by 2100 – being negligible and immeasurable. And if Belgium closes its nuclear power plants, there would be no other choice but to rely on fossil fuels. That is the embarrassing reality! Comment: These are highly dubious claims. The claim that doing nothing will entail much higher costs is very questionable. Here, the cure can be worse than the disease and we believe that current climate policy is a typical example of this. Bjorn Lomborg calculated, for example, that if all countries honour their voluntary commitments under the Paris Agreement, the temperature effect in 2100 will be only 0.05 degrees Celsius. This is also negligible. According to Lomborg, the policy is already costing USD 1000 to 2000 billion a year, mainly as a result of reduced economic growth. This is a major problem for developing countries. They are still working hard to bring their citizens up to the same level of prosperity as we have in the West. The suggestions that climate policy will create extra jobs are also misleading. Of course, you create jobs if you put hundreds of billions of public money into the energy transition. However, the question is how many jobs are lost elsewhere and what the net effect is. Experience in Germany and Spain shows that green jobs are extremely expensive jobs and therefore harm the economy. So it is scientifically very embarrassing what is being claimed here. Comment: It is a chutzpah that the authors fail to mention nuclear energy here. Belgium plans to close all its nuclear power plants and replace them with gas power plants that are supposed to be renewable. This is not only a very expensive operation, but inexplicable from a CO2 perspective. It will increase CO2 emissions in Belgium. Are the authors really serious about the climate or do they merely aspire to an ideological agenda in which sun, wind and biomass have the highest priority? Moreover, climate change and environmental issues are completely mixed up in this claim. The confusion caused by these two problems is considerable. Many people who say they are very concerned about climate change actually mean that they are very concerned about the natural environment, such as air pollution (soot and fine particles in the air) and ocean pollution (plastics in the oceans). Young people are worried by climate change, they mean environmental degradation and the bottom line is that they leave a lot of trash at the protest site. From a historical perspective, the great forces of nature seem to play a prominent role in the change of the Earth’s climate, yet in the deterioration of the environment, mankind is undoubtedly dominant. Now that children are being abused, it becomes even more painful to garble both issues. 1. The greatest value of a scientist is his or her independence. We see that scientists are becoming increasingly financially dependent on government and industry. Political and commercial interests have become an increasingly important part of research. As a result, many scientists have lost their independence. The Belgian manifesto makes this painfully clear once again. This trend is extremely worrying. Are there still independent professors to be found today? The history of science tells us time and again that scientific progress has never gained from consensus, but from stubborn scientists who dared to question existing concepts. It is in the interests of science and humanity that these dissidents do not become silenced, as is currently the case with the IPCC, the public media and commercial lobby groups. Doubt is the basis of all scientific progress. People, who no longer doubt and are convinced that they are right, do not ask questions but looking for a fight. That’s why we aren’t making any headway in the climate debate. 2. In Belgium, the climate movement has now also started using children for their ideological cause. A rather condemnable strategy. What children need to learn is to take a critical look at the facts. So what is happening now goes against everything that education should stand for. We are increasingly seeing children being abused to achieve goals. We all remember that washed ashore refugee boy on the beach, an image that was frequently used by refugee organisations or, in The Netherlands, the asylum boy that was guided by a TV crew to push a microphone under the nose of conservative floor leader Dijkhoff, etc., etc. Anyone who wants to be proved right by putting children at the front of their cause is morally reprehensible. Teachers who work in this manner should be ashamed. Climate Intelligence Foundation is a new foundation financed by anxious citizens. The Foundation focuses on independent public education. It does this by telling the whole climate story.